classroom location is 417 Shoup Ave West in Twin Falls, ID. It is in google maps under Keyes To Safety LLC, but is only for open classes. We DO NOT have staff at this location. ​so please leave message and we will get back to you ASAP! If you wish to set-up a class for your business or private group, we ask for a minimum of 5 people. We also serve most of the U.S. and travel to many locations to provide services. Keyes To Safety is taking part in a large construction project that requires all of our staff. We will be limiting classes to the 1st week of April. If you are looking to enroll, the classes will be listed under the normal tabs. If your company needs to schedule training please call to set-up a time in March or May, due to April being completely scheduled at this time. We apologize for any inconvenience and will try to work with you the best we can. Added on to the course offerings, is the option purchase class bundles at a discount. This gives businesses and large groups an option to purchase certificates in bundles and use with staff "as needed". ​Registration will be OPEN for newest version of the Wilderness First Aid Program in July/August 2019. Please Check Back. 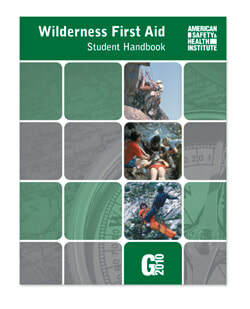 ​The Wilderness First Aid Course is CLOSED for registration. Requirements is a valid AHA or AHSI CPR, First Aid, and AED certification. This course is designed for the outdoorsy and those who wish to increase knowledge and skills. Approved for Boy Scouts of America. Click Link for Details. 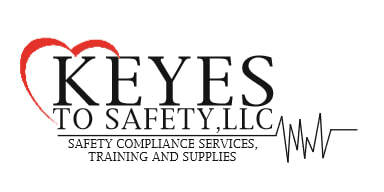 ​​Keyes To Safety LLC is a small independently owned business in Southern Idaho. We provide training, safety consulting, and project management services. ​This is a passion and a lifestyle, we have been blessed to travel all over the U.S. to provide services for other small businesses and large corporations. Keyes To Safety LLC is an American Safety & Health Institute (ASHI) Training Center as well as an American Heart Association BLS Training Site. *Course fees do not include the books, they can be added for purchase from the store page. or ASHI Training Center status. ​*Course fees do not include the books, they can be added for purchase from the store page. AED's are key to increasing survival rates. We offer AED's, Accessories, and an AED Management Program to assist with maintaining devices, tracking usage, training , and proper updating procedures. All records are in Compliance with HIPAA and OSHA Accepted Protocol as defined by 29 CFR 1910.134 App. A. Failure to complete Annual Tests for your employees comes with a Substantial Fine compared to the fees for testing. It is in your companies best interest to maintain and Safety Culture that will future benefit you and your employees. Testing & Training is available by appointment individually or can be done at for facility for larger groups. Safety is a culture that should be applied both at the workplace and at home. Complacency is a condition of human nature, when you least expect an emergency is when it is most likely to occur. Your everyday Safety Information and Tips, Your Safety is our Business. KTS is a believer in natural & organically sourced wellness treatments. Many everyday items can be used for first aid treatments and prevention.